Normally, Hali and I just tag along with friends or other groups. This getaway was basically our first together. 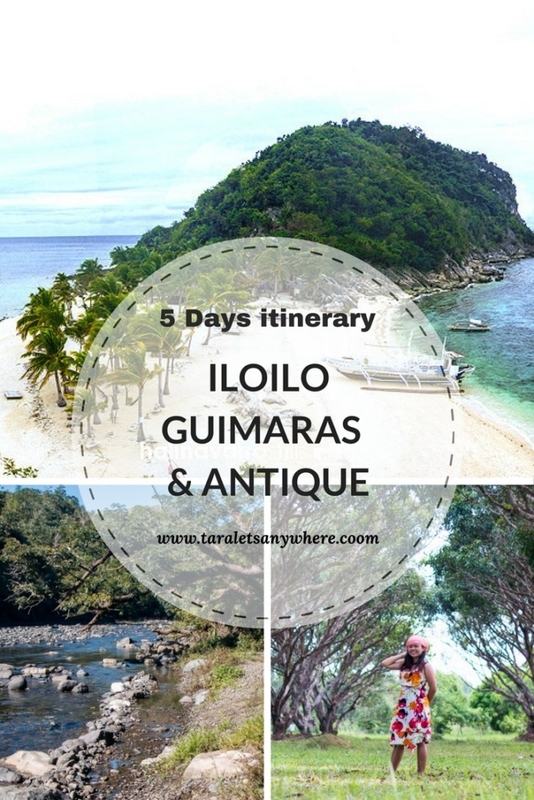 We planned a 5 days Iloilo-Guimaras itinerary, with a quick day trip in Antique. First of all, I wanted to say how the weather in the Philippines is a funny thing! It’s either sweltering hot or shivering cold. After several weeks of good weather, on the exact day of our out-of-town trip, it had started to rain. Still, we’re grateful because the weather, in its own playful way, cooperated with us. We were able to push through with our original Iloilo-Guimaras itinerary, with just small adjustments in schedule. Take a local flight either to Iloilo or Roxas. Head to Molo Terminal in Iloilo. Take a van (P180 per person, 4 hours) or bus (5 hours) to Tibiao, Antique. From the dropoff point, ride a habal-habal (P70 per person) to take you to your selected accommodation. From Iloilo, there are 2 ports going to Gigantes Islands. Bancal Port is the official jump-off point. Here you can find the municipal tourism office to assist you in your island hopping, and it’s also the fastest way to reach the islands. To get to Bancal Port, from Iloilo take a bus en route to Carles and drop off at the port. On the other hand, if you prefer to travel via Estancia Port, from Iloilo head on to Tagbac Terminal and then ride a bus to Estancia Port. From Iloilo, take a bus to Guimaras Port and ride a motorized banca to Guimaras. From there, get a private tricycle to take you to your resort. Here’s a little more of our trip! From outside the gates of Iloilo airport, we hailed a taxi to Molo terminal and then rode a passenger van to Tibiao. We arrived past lunch time in Kayak Inn, our accommodation in Tibiao. 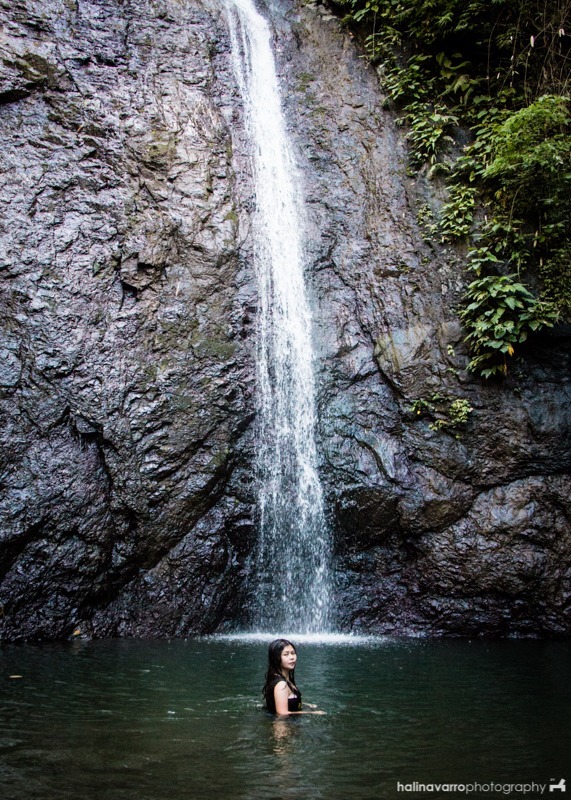 We spent the rest of the afternoon trekking to the nearby Bugtong Bato falls, a seven-tiered falls with deep-green basins and then relaxing in a traditional kawa hot bath back in the inn. 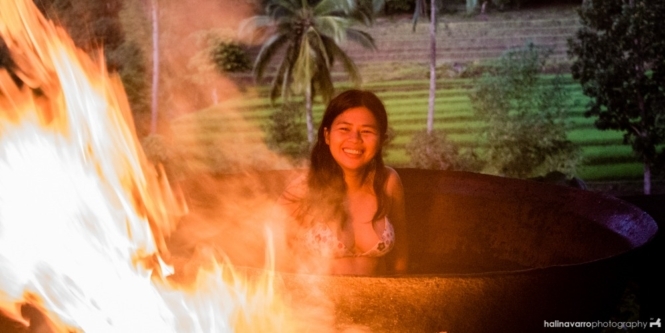 The kawa hot bath was the main reason we made a quick nip here in Tibiao, and it did not disappoint. Our bath was filled with herbal leaves for soothing the muscles. Hali and I shared a big kawa and dozed off, capping our day in Antique. Even though this is just a side trip, this is actually my favorite part in of our Iloilo-Guimaras trip. 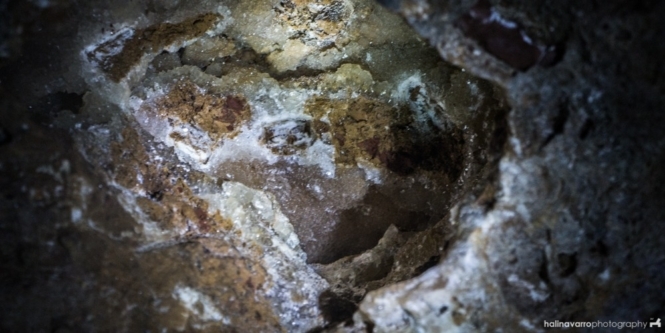 Read our full post in Tibiao, Antique here. Gigantes Islands is quite far from Antique, even from Iloilo City itself. We arrived in Gigantes Hideaway Inn, a backpacker’s favorite. It’s famous for serving liberal meals of seafood, including scallops — a common seafood in the area. The inn also offers its own Gigantes island hopping tours. It was rainy when we island hopped to Gigantes Islands. We explored Bantigue Sandbar, Cabugao Gamay and its twin Antonia Island and the famous Tangke Lagoon. Cabugao Gamay is indeed beautiful, especially at the view deck atop the cliff, although in person it looks small. During our 2 days stay in Gigantes Hideaway Tourist Inn, we also managed to visit the lighthouse in Gigantes Norte, a favorite of sunrise lovers, and Bakwitan Cave, a historical cave with huge stalactites and even natural crystals that unfortunately fell into neglect. On our fourth day, we were supposed to start the land tour in Guimaras but got delayed due to the typhoon. We stayed overnight at Raymen’s Beach Resort, a budget accommodation. I wouldn’t recommend this resort because our room wasn’t clean. You can search for other resorts in Guimaras here. The morning was better; the sun finally showed itself and the sea was calm. The weather was just perfect for a tour in Guimaras. We island hopped for a few hours. Hali enjoyed our tour in SEAFDEC, which is a marine sanctuary. Meanwhile, I loved snorkeling to see various corals near Ave Maria island. In the afternoon, we squeezed in a short land tour. I enjoyed the ride itself to Guimaras’ tourist attractions. The road were wide and quiet, surrounded with lush trees. We selected only a few destinations from the long list of Guimaras’ landmarks. Of these, my favorite is the picturesque Guisi lighthouse, with its crumbling ruins decorated with tree roots. After the land tour, we went back to the airport in Iloilo for our flight back home. 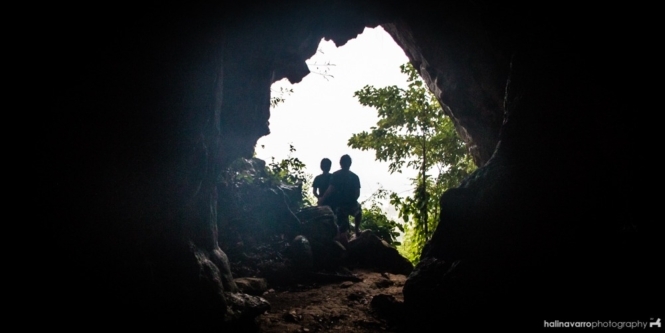 You can read about our trip to Guimaras here. Our budget for 2 people for this Iloilo-Guimaras trip was P8000 each, although today we estimate that a normal budget for 2 people would be P6000-6500 each especially considering the current competitive cheap tours in Islas de Gigantes. We stayed in Kayak Inn, which is one of the best places to stay in Tibiao. Since our trip (dated 2015), there are now affordable trips in Gigantes Islands. In Bancal port, you can charter a private boat for island hopping for P4000, good for 6-8 people. You can wait for other joiners in the port if you’re traveling solo. Another option is to get a packaged tour. Travels & tours such as Gigantes Island Tours offer P999 per person for a day trip or P1200-1500 per person for 2D/1N stay. Aside from agencies, resorts in Gigantes Norte also offer their own island hopping packages for as low as P1500 for 5-10 people. One thing that we realized during our trip is that Antique is a long detour. 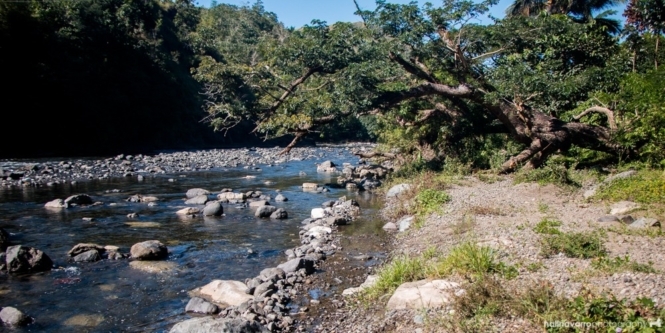 It’s more practical to visit alternatives such as Bacolod or the lesser-known Bucari, Iloilo’s summer capital. If you love city tours, you can allot the extra day in Iloilo and taste its delicacy — bulalo. We took this trip in 2015 and since then we’re keeping this Iloilo-Guimaras guide as up-to-date as possible, especially with the current rates for tours. If you’d like to help, please comment updates below and we’ll add it in the guide. As I’ve mentioned above, this is Hali and I’s first couple trip. It was, of course, fun and admittedly a little bit challenging. When Hali said we’d help together in planning, what he really meant was that I’d do the itinerary and book for reservations, and then and again he’d ask questions or make small suggestions. Still, there is something about traveling with your significant someone that is incomparably different from the usual out-of-town trips. Hi Malou, I believe we’d already covered that above. Please read the itinerary more carefully. To answer your question, it will take you approximately 5 hours from Raymen resort to Antique, 3-4 hours from Antique back to Iloilo. HI. I am doing a 6 day trip to Iloilo at the end of April and pretty much have the same itinerary as yours except I will have an extra day in Iloilo to go to Garin Farm and see some local sites in the city itself. My question is where did you catch a van from Tibiao to Iloilo? I was planning to use Ceres but I think the van would be faster. Aaaaw…. How I miss Philippines!!! 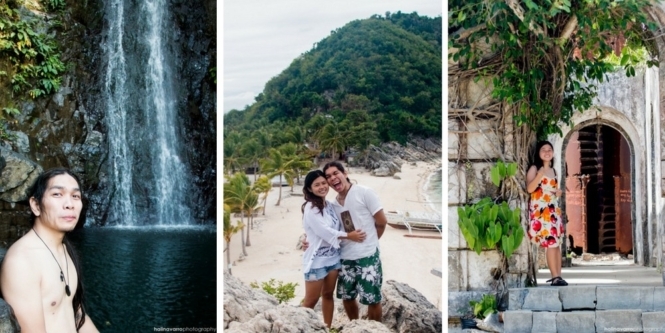 Awesome itinerary guys… Cant wait to visit PH soon:) Have you been to Coron? I hope you have a good time! I updated this post a little bit, adding more info about boat schedules and packaged tours to Islas de Gigantes. I’ve never been to Iloilo but I’m planning to go there because of Isla de Gigantes. You sure did many things in your short time in the province. Thanks for sharing your itinerary. I’m going to try that kawa hot bath come hell or high water. Yes, I hope it won’t get over-touristy though! 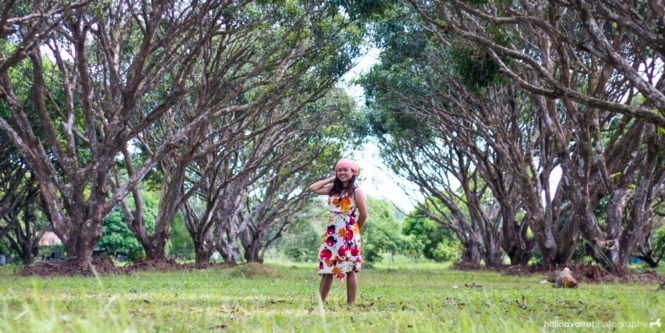 I love the photos, specially the pawikan and the kawa. Is it safe to save 15-20k per head to be able to enjoy a similar experience, for 5 days? Sure Kuya Sonnie, we had a budget of P8000 each. We’re budget travelers btw. 🙂 P15-20k is more than sufficient even if you’re into more comfortable accommodations. Do you have a picture of the tree house in a balete tree? I’m curious. You look like a goddess in the first pic, the one where you’re looking at the picture with a waterfall backdrop! Pretty good shot by Hali! Anyways, I want to try that kawa bath, sounds terrifying and probably quite the experience. You can see the tree house in the video. 😉 The kawa hot bath isn’t terrifying at all! Shivering cold in Philippines? Hmmm, should I invite you to Sweden haha. Oh my god, those pictures are insane! The first day I thought like, yes nice, but then the second day, more pictures. And you kept going. That waterfall is my favorite spot. You look like a mermaid in a fairytale. Lovely! 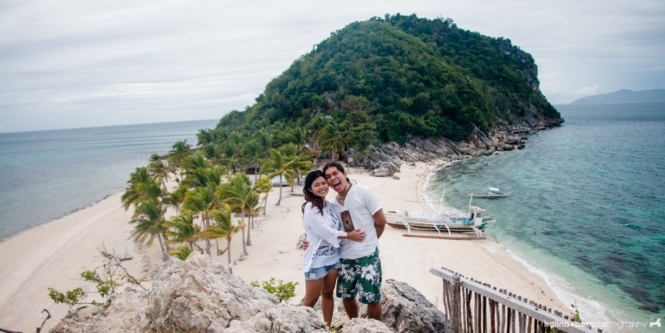 Isla de Gigantes looks amazing! And the Tangke saltwater lagoon looks mystical. Is it shallow? Anyway, your post makes me want to book a flight now to Iloilo. We’ll certainly use your blog post as reference if ever we get to visit Iloilo (hopefully soon). It was when we got there because it was still low tide. I’ve seen photos online where the lagoon fills up with so much water, almost level with the boulder in the middle. I think guests rarely chance upon this though. Very nice trip you did. Glad you’re back safe and sound with wonderful memories and tales to share. Hi Gabriela! From Kayak Inn, we rode habal-habals to the main road (or “crossing”). There, you can wait for a van or bus headed to Molo terminal in Iloilo. I’m just not sure about the time of the last trip. Yes, you should go see Gigantes Islands. Cabugao especially looks amazing in good weather kasi highlighted yung color ng water surrounding the island. Summer is the best season to visit kaso it’s also the peak season. From what I’ve learned din dumadami na yung tourists in Gigantes.